EU council president Donald Tusk and Polish president Andrzej Duda attempted to calm tensions on Monday (18 January), a day before a debate about Poland in the European Parliament. The new Polish government of the Law and Justice party (PiS) has been accused by critics of curbing the constitutional court’s ability to check on the government and putting party loyalists in charge of state broadcasters. The European Commission last week launched for the first time a monitoring procedure that is supposed to check the health of Polish democracy. “Poland has no enemies in the EU,” said Tusk, who served as Polish prime minister between 2007 and 2014 with Civic Platform, a party now in opposition. Tusk also warned that officials and politicians from the EU and Poland should not exaggerate in their statements and should refrain from hysterical behaviour. “I want to deny any conspiracy theories supposedly created here in Europe,” Tusk said. 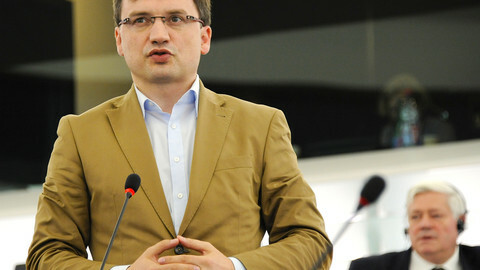 He criticised the procedure launched by the European Commission. “The European Commission is acting in good faith, it does not want to humiliate or stigmatise Poland. 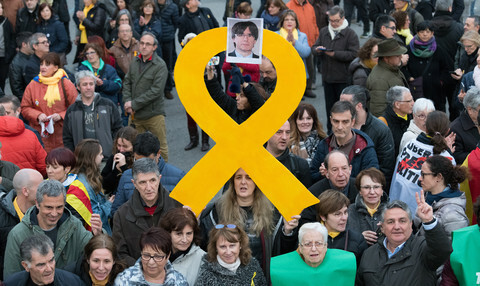 But this could be achieved by other methods, not necessarily by triggering this framework,” Tusk told the media on Monday. 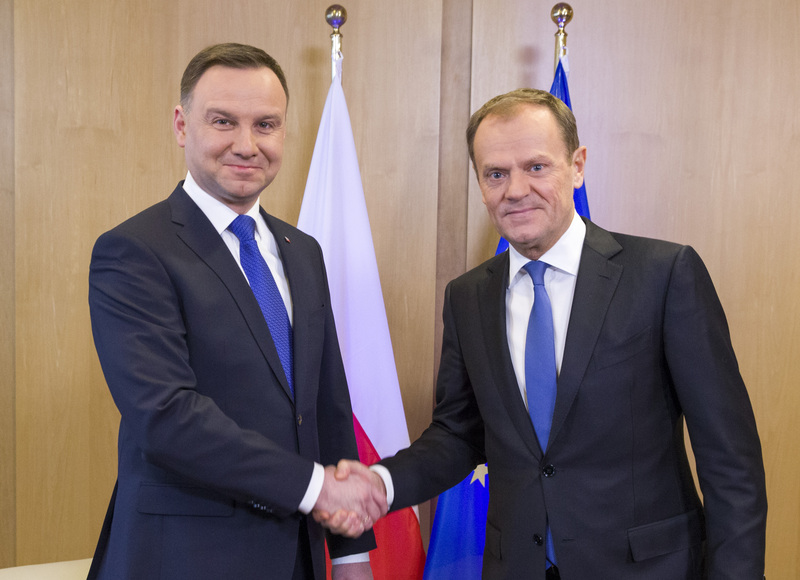 Tusk also said he did not think Poland would ever become an issue for the European Council. “I don’t believe it is a good idea to discuss the Polish situation at the EU Council,” he said. For his part, Duda said he wanted to have a calm debate with Brussels. “Nothing exceptional is happening in Poland,” Duda said, “we are not undermining our membership in the EU”. “I appeal to calm down the debate, to have a rational dialogue, based on real facts, not some media creations, that have nothing to do with reality,” Duda said. Tusk said it was of key importance for Poland to maintain the good reputation it had worked on for the past 25 years, recalling how Polish opponents of the Soviet-controlled regime had longed for EU membership. “This reputation has been shaken slightly,” Tusk said. Besides the Polish political issues, the two leaders talked about the UK's attempts to negotiate EU reforms, Ukraine, and the planned North Stream 2 gas pipeline connecting Russia to Germany. Duda said Poland wanted a deal that would help the UK remain in the EU. 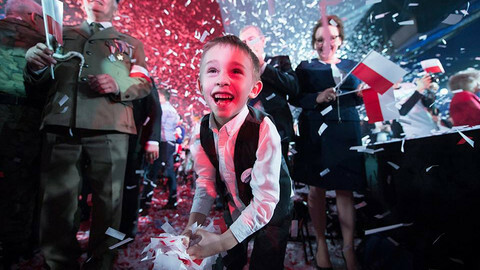 “We must seek a cautious compromise that does not undermine basic freedoms that are important for Poland,” he said. The Polish president heavily criticised the planned North Stream 2 gas pipeline that would circumvent Ukraine as a transit country, delivering gas from Russia to Europe, via Germany. Duda questioned the economic logic behind the project, saying it was undermining energy security in Slovakia, Ukraine and Poland. 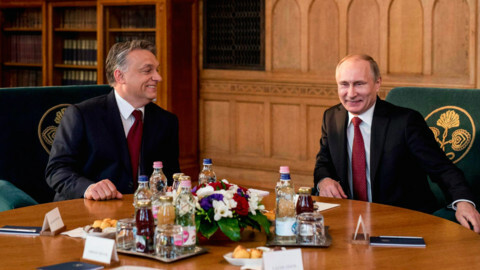 Towards a Putinisation of Central Europe? 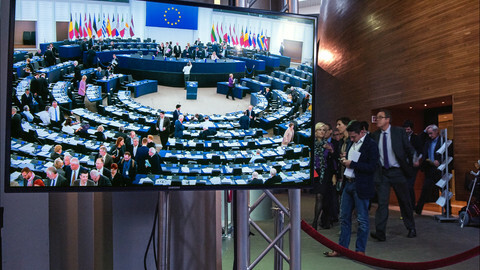 EP to hold debate on Polish government's constitutional and media "coup". Dutch PM Rutte to outline views on migrant crisis, MEPs to also put together VW inquest team. Polish PM Szydlo to confront EU critics on the state of Polish democracy. 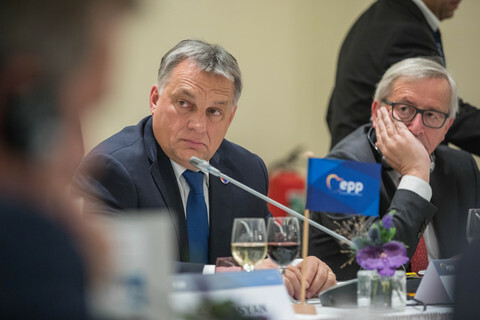 The EPP might try to defuse tension. The UK's likely to back her. But sources predict "carnage." The EU commission has triggered rule-of-law monitoring of Poland, in an unprecedented step, prompted by constitutional and media reforms. The move follows a nasty exchange of letters. 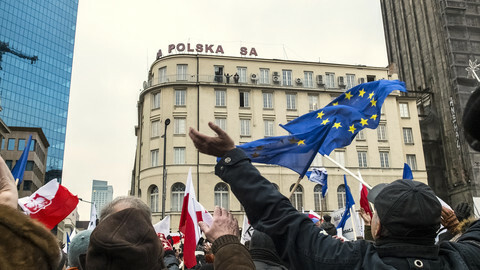 Poland hits a more conciliatory tone in its first response to the EU Commission's probe into its rule of law practices. With the migrant crisis ongoing, Central European countries are increasingly inching towards populism and nationalism. Russian president Vladimir Putin may well be become a model for some.